My husband and I are staying on Randolph Air Force Base, and we were in the mood for BBQ for dinner. 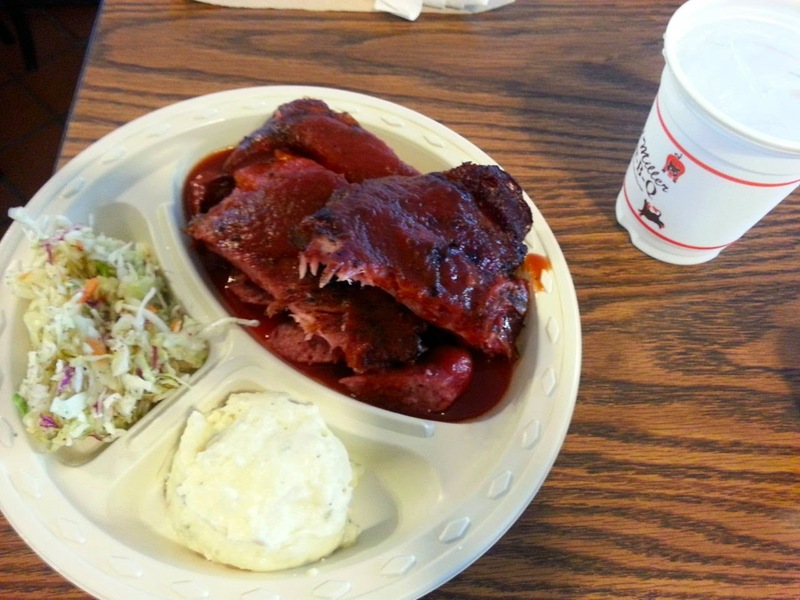 We noticed Bill Miller BBQ right outside the Air Force gate, so we decided to check it out. 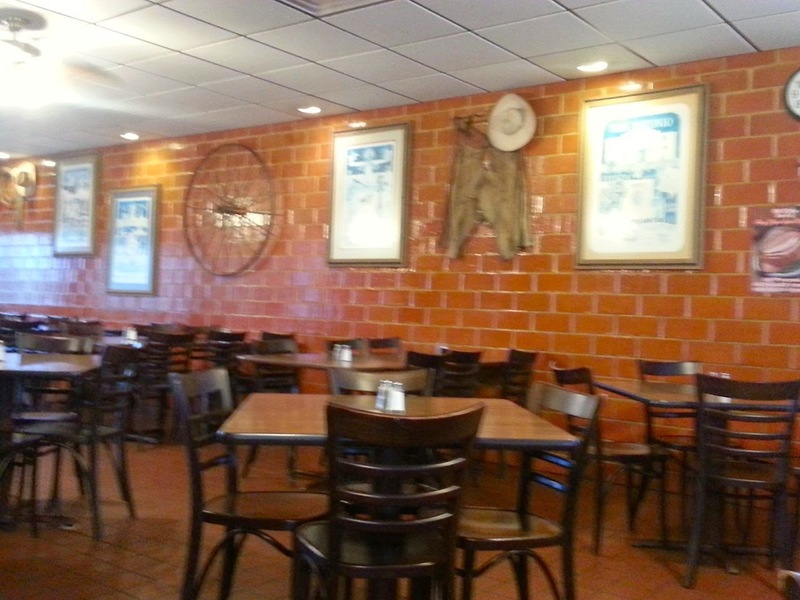 At first glance, it reminded me of Pappa’s BBQ, which we loved. 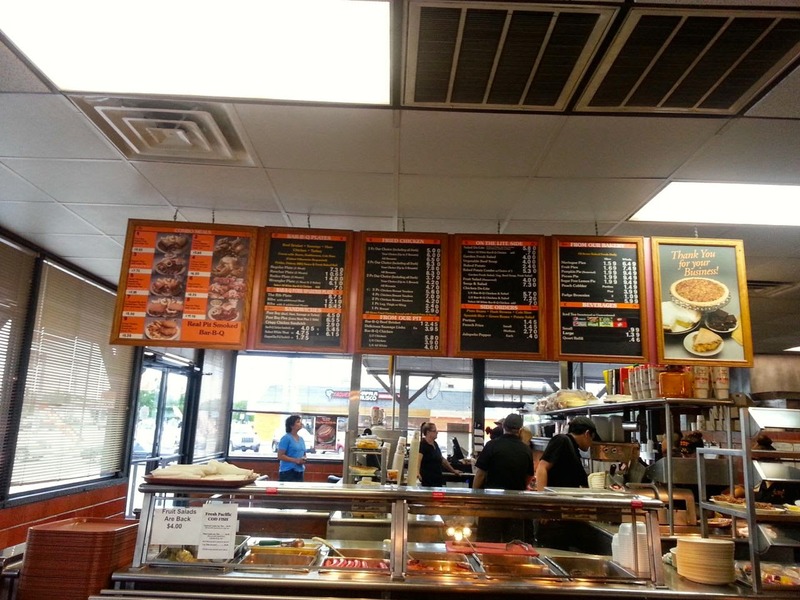 It was set up where you walk up to the counter, order your food, they fix your plate and give you your food right away. I was disappointed that they didn’t have pulled pork, but we decided to eat there anyway. I ordered the Regular Plate which comes with one meat and 3 sides. 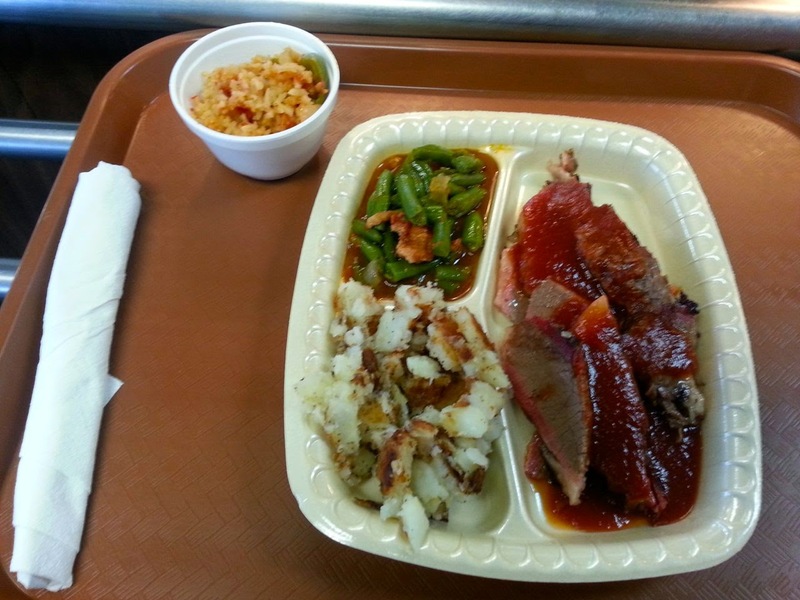 I chose Brisket for the meat and green beans, Spanish rice, and hash browns for my sides. They asked if I wanted BBQ sauce on my meat, and I said yes. My husband ordered The Rib Plate PLUS 1 additional meat. For his extra meat, he chose sausage. For his sides, he chose French fries, potato salad and coleslaw. We found a table and then went up to the fixins bar. I got some sour cream to add to my hash browns and some salsa to add to my rice. 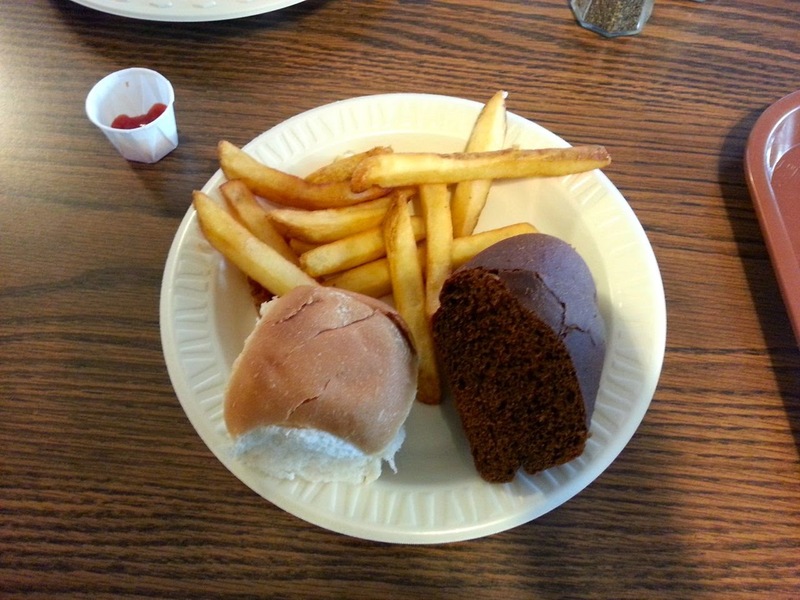 I also got some brown bread and a white bread dinner roll. My husband got some ketchup for his fries and some dinner rolls. 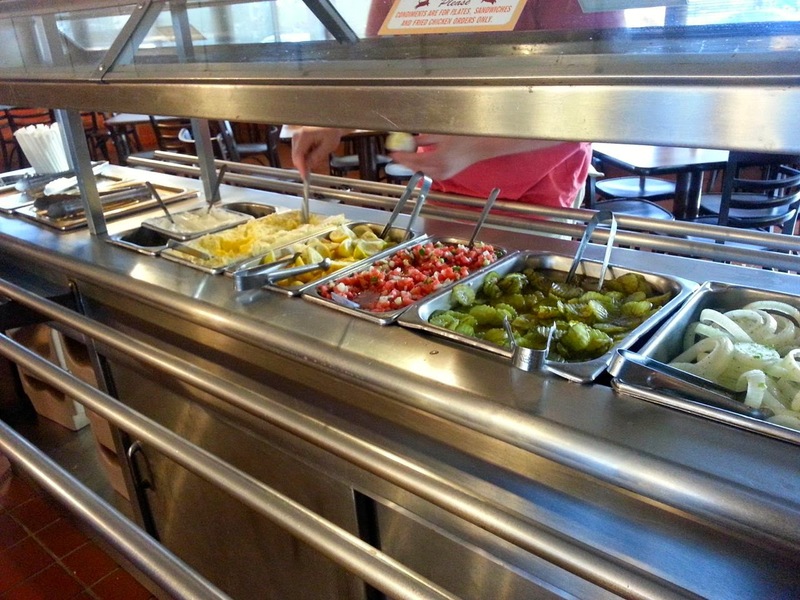 So, what did we think of our food? Basically, it tasted like fast food BBQ. All the meat was pretty fatty. The BBQ sauce had too strong of a tomato flavor. The brisket I make myself (which just has TexJoy and liquid smoke on it) tastes way better than this brisket. I tasted the sausage, and it just tasted like a sausage link you’d get at the grocery store. My husband thought the ribs got cold fast, possibly like they had been reheated. As far as the sides, I liked the hash browns, especially with the sour cream. The French fries were also pretty good, but it’s hard to get fries wrong. I also liked the white dinner rolls with a little butter, but that’s also hard to get wrong. They were probably just store bought dinner rolls anyway. I didn’t like the green beans. They tasted like beef broth. I’d rather just have salted and buttered green beans. The rice was okay, but not good enough to eat. I’m not a huge rice fan, but my husband didn’t even want the rice. The brown bread wasn’t very good, even with butter. I love the brown bread at The Cheesecake Factory, but this didn’t have that honey/molasses taste that I like. My husband thought the potato salad was too smooth/mushy. It wasn’t chunky enough for his taste. It tasted like there was too much mayo in it. The coleslaw was vinegar based, and he would’ve preferred a creamier coleslaw. He thought about mixing the coleslaw and potato salad together, but he didn’t. 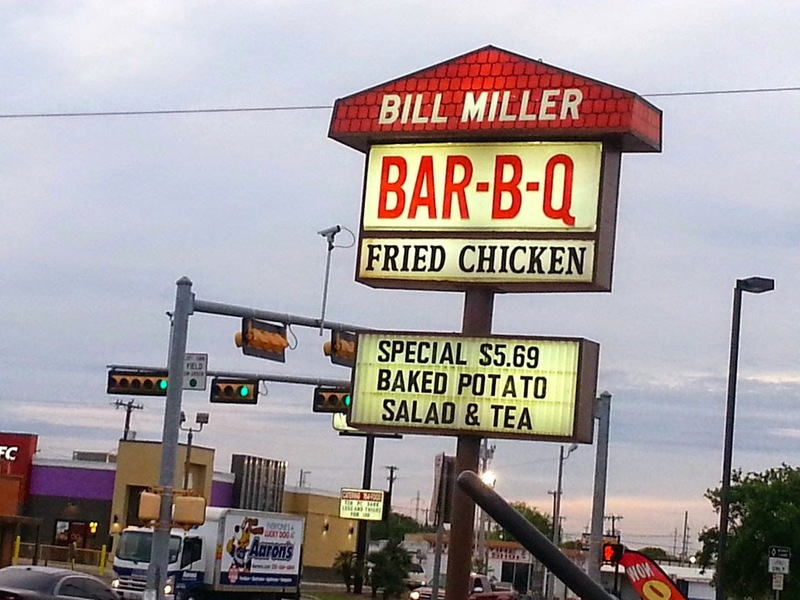 In short, we wouldn’t eat at Bill Miller BBQ again. I’d rather eat at Arby’s. I actually like Arby’s. I kind of wish we had just ordered a pizza from our room. Lesson learned.